- Remanufacturing in General Aviation is providing as-good-as-new options for 4-seat singles. 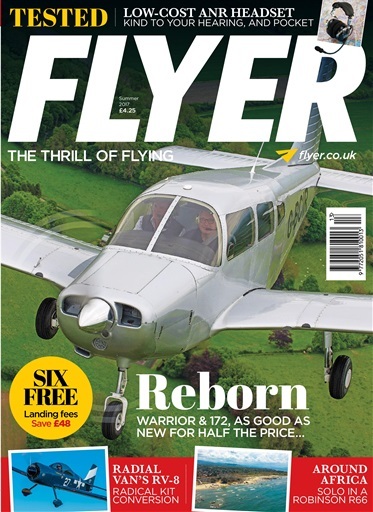 Ian Seager flies the Reborn Aviation PA-28 and Yingling Aviation Ascend C172, and discovers great aircraft for less than half the cost of buying new. - When Brian Kelly set out to build his own Van's Aircraft RV-8, he knew he wanted to make something different to all the other's he'd seen, so he changed the engine from a flat-four to a 9-cylinder radial. The result? A beautiful aircraft with some great engineering under the cowling. 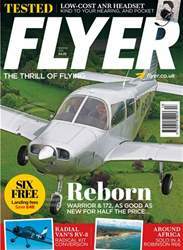 - In First Solo, senior engineer at the Aircraft Restoration Company, Martin Overall talks to us about how he's moved from microlights to Spitfires. - Top Gear tests the SH30-75 ANR headset from SEHT. Is it kind to your ears as well as your pocket? We find out.